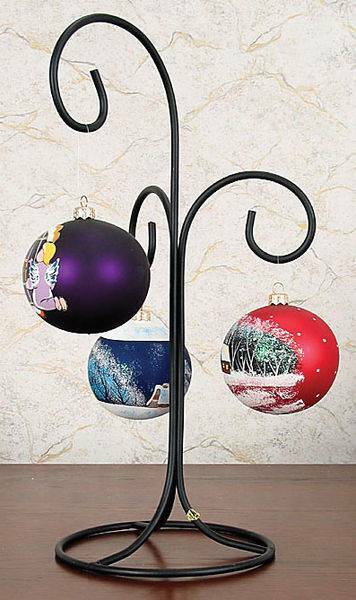 The top branch on this ornament display stand is 15-1/2" hanging height and lower branches are 10" hanging height. Base diameter is 7-1/2". Overall height is 18-1/2". Available in Black and Gold. Sold in sets of 4 each.